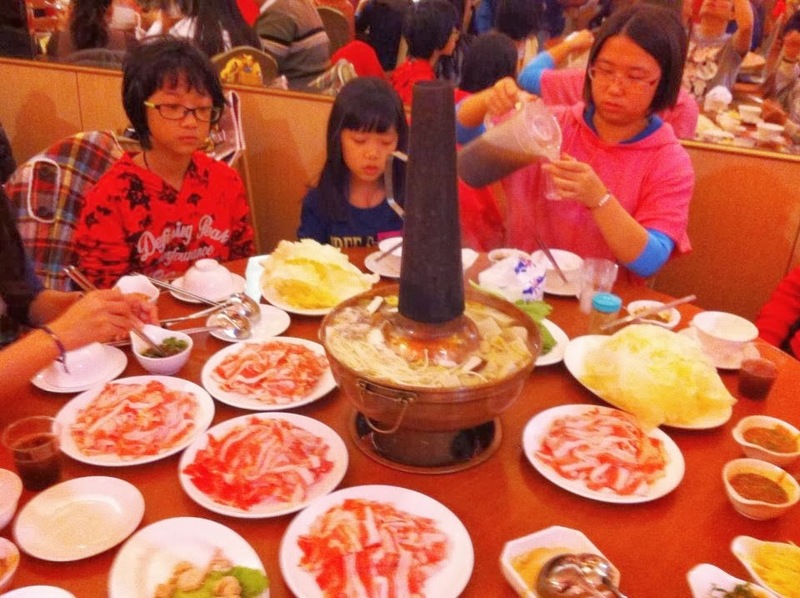 Chinese people love to eat hotpot, especially in winter. Since it is now officially winter, I decided to have dinner at one of the most famous blanched mutton hotpot restaurants in Taichung, Jen-Bei-Ping Blanched Mutton. 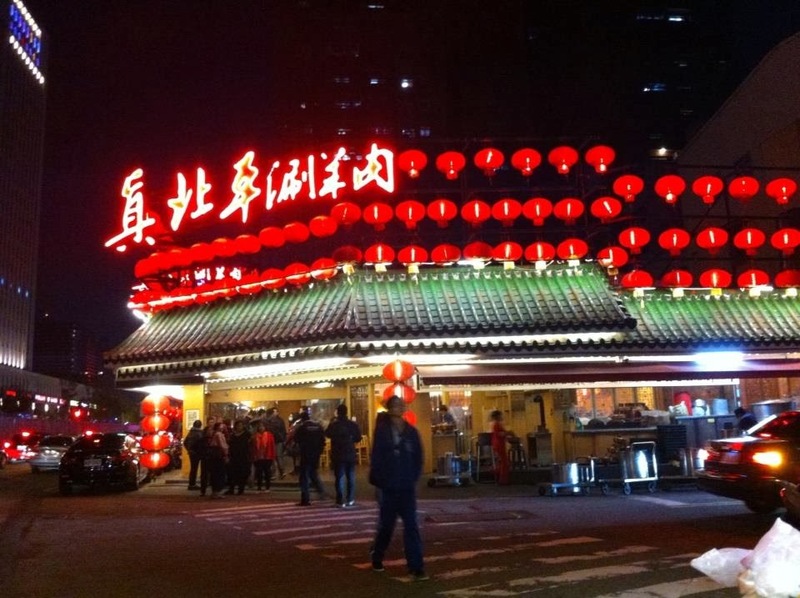 Jen-Bei-Ping is located on Wensin road, near the Taichung city government police department. You can see Jen-Bei-Ping from a far distance; it’s the big Chinese-style building with many red lanterns hanging around the roof. Once I got inside, I saw that inside it is one big room with row after row of huge red lanterns hanging from the ceiling. It looked like one big happy party with all the guests eating together! 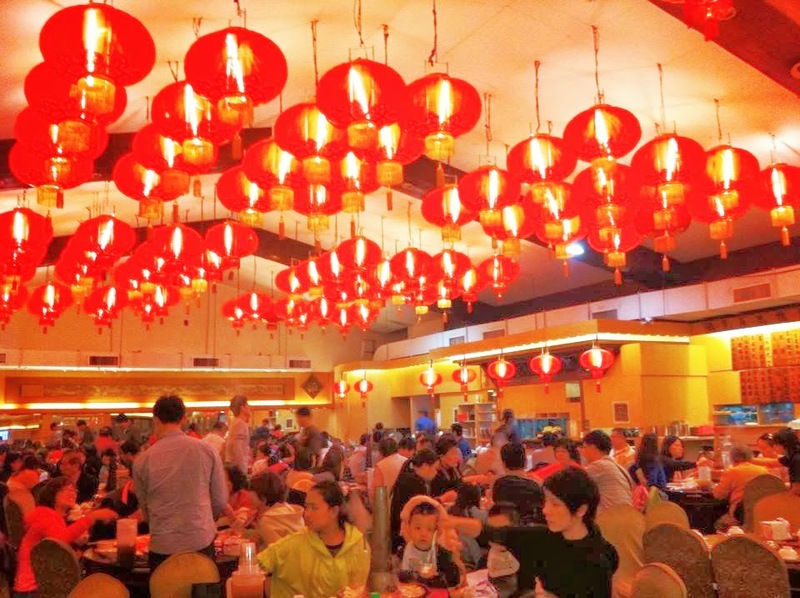 Most of the food on the menu is similar to other hotpot restaurants; you will find pork, beef, meatballs, and vegetables. However, mutton dishes are Jen-Bei-Ping’s specialty, and the thing that makes Jen-Bei-Ping REALLY different is that they use traditional copper pots heated by charcoal. 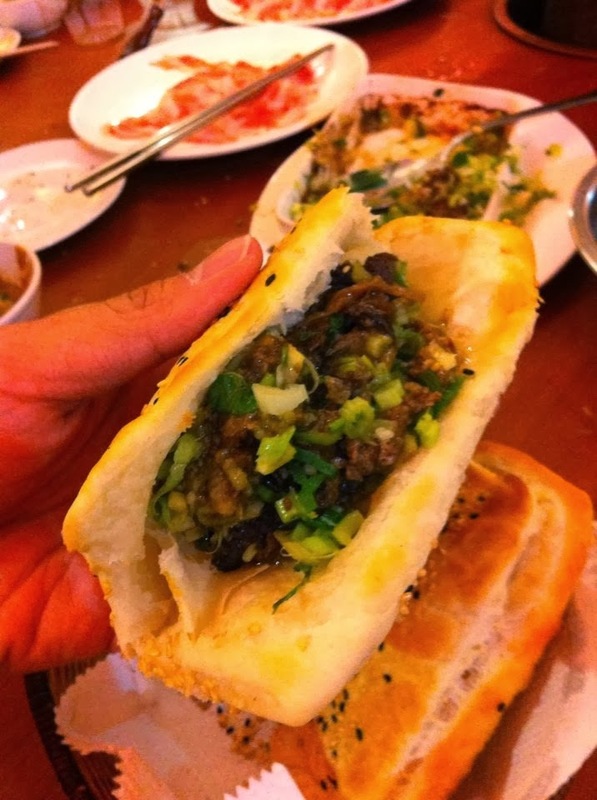 Along with their mutton hot pot, they also serve other special dishes like mutton rolls. The prices at Jen-Bei-Ping are quite reasonable, with the average meal costing about NT$400~500. Everything on the menu looked tasty, but I finally decided to order the blanched mutton and mutton oven rolls. The chef cut the mutton as thin as paper, so blanching the mutton slices took only 3 or 4 seconds. The meat was very fresh and tender. There was also pickled cabbage in the hot pot, giving it a fragrant, sour smell. It really stimulated my appetite! The chef also used some special spices to stir-fry some mutton and put it into baked rolls. The mutton, spices and hot bread went very well together. I thought the mutton rolls were more delicious than any hotdog I had ever tasted! I enjoyed my meal at Jen-Bei-Ping; I really loved their mutton. This is definitely the best choice for you and your friends or family on a cold winter evening.